To remove the risk of damage to cargo during transport, we have developed our own bridges that make the transfer from truck to rolltrailer very smooth. The bridges eliminate the need for crane lifting in both load and discharge port as the railcars can be directly rolled on and off the rolltrailer, which is equipped with rail tracks. This makes the operation safer and less costly than with crane lifts. 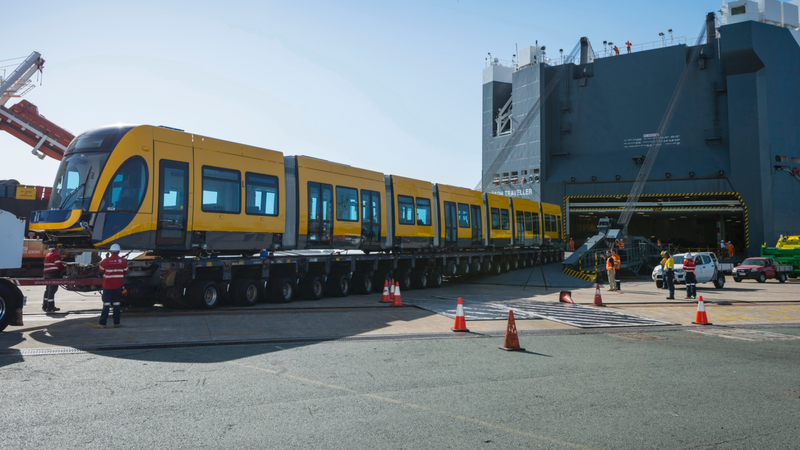 For rail units longer than 27 metres, we use our Extended rolltrailer concept which involves placing two railed rolltrailers in front of eachother and connecting them with the Höegh bridge.